The famous company that makes M&Ms, snickers, dove chocolates, twix and other tasty treats. M&Ms Plain Whole Candy - 25 lb. 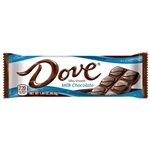 Dove Dark Chocolate Singles - 1.44 oz. Dove Milk Chocolate Singles - 1.44 oz. M&Ms Milk Chocolate Mini Tubes - 1.08 oz. M&M Peanut Singles - 1.74 oz. 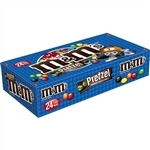 M&M Pretzel Chocolate - 1.14 oz. M&Ms Candy Milk Chocolate - 42 oz. 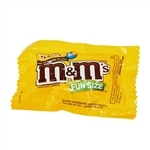 M&Ms Candy Milk Chocolate Bulk Fun Size - 20 lb. M&M Peanut Candy - 42 oz. 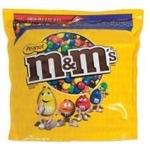 M&M Milk Chocolate Peg Pack - 5.3 Oz. M&M Peanut Butter Peg Pack - 5.1 oz. 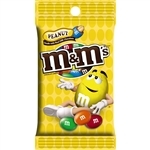 M&Ms Peanut Peg Pack - 5.3 oz. M&Ms Mini Bake Bits - 25 lb. Milky Way Fun Size Candy Bar - 3.36 oz. Milkyway Simply Caramel - 2.84 Oz. 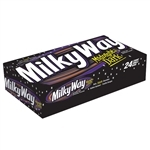 Milky Way Midnight Singles Candy - 1.76 oz. 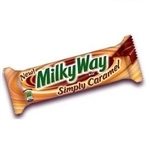 Milky Way Simply Caramel Bar - 1.91 oz. 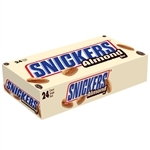 Snickers Almond Singles - 1.76 oz. Snickers Fun Size Candy Bar - 3.4 oz. Snickers Candy Bar Miniature Peg Pack - 4.4 oz. Snickers Peanut Butter Squared King Size Candy Bar - 3.56 oz. Snickers Peanut Butter Squared Singles Bar - 1.78 oz. Twix Candy Bar Fun Size - 3.28 Oz. 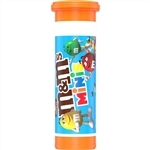 M&Ms Candy Milk Chocolate Mini Mega Tubes - 1.77 Oz. Snickers Candy Bar Singles - 1.86 Oz. 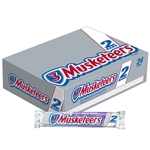 3 Musketeers Candy Bar Single - 1.92 Oz. Milky Way Candy Bar Singles - 1.84 Oz. M and Ms Peanut Butter Candy Stand Up Pouch - 38 Oz. Snickers Candy Bar Miniature Peg Pack - 2.86 oz. Snicker King Size Candy Bites - 2.83 oz. 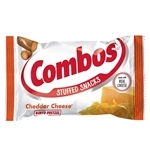 Combo 7 Layer Dip Tortilla Snacks - 6.3 Oz. Snickers Fun Size Changemaker - 54 oz. 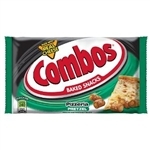 Crispy Singles Candy - 1.35 Oz. Snickers Xtreme King Size Candy - 3.59 Oz. Twix Peanut Butter King Size Candy Bar - 2.8 Oz. Twix Peanut Butter Singles Candy Bars - 1.68 oz. Milky Way Single Bar - 1.84 Oz. Cranberry Snack Bar - 1.2 Oz. 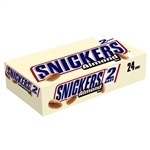 Snickers Crisper 4 to Go Share Size Candy - 2.83 Oz. Milky Way Candy Midnight Share Pack - 2.83 Oz. 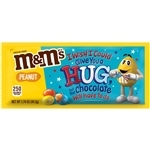 M&Ms Brand Milk Chocolate Singles - 1.69 OZ. Milky Way Fun Size Candy - 10.65 Oz. Snickers Fun Size Candy - 10.59 Oz. Twix Caramel Fun Size Candy - 10.83 Oz. M&Ms Peanut Butter Chocolate Movie Box - 3 Oz. Miniature Variety Pouch Candy Bar - 40 Oz. M&Ms Coffee Nut Sharing Size - 3.27 Oz. M&Ms Yellow Candy Bulk - 3.27 Oz.